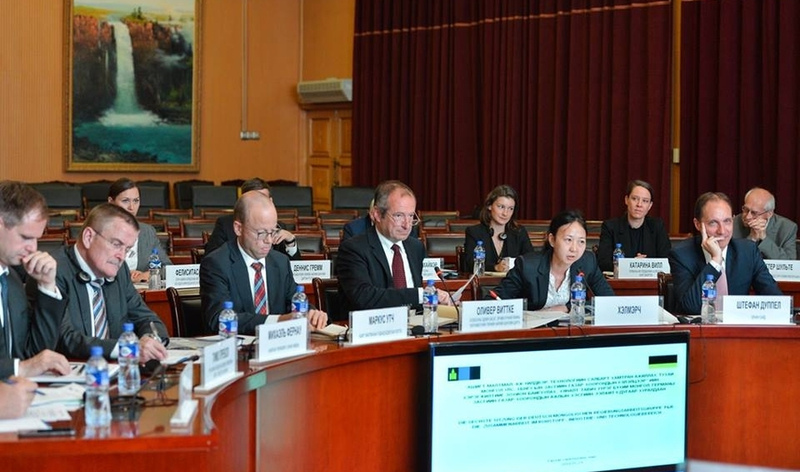 AKIPRESS.COM - The 6th meeting of the Mongolian-German working group for implementation of the intergovernmental agreement on cooperation in mining, industry and technology sectors took place on May 29 at the Ministry of Foreign Affairs of Mongolia, the Ministry said. Present at the meeting were officials led by Minister of Mining and Heavy Industry, head of the working group from Mongolian side D.Sumiyabazar and head of the working group from German side, Parliamentary State Secretary at the Federal Ministry for Economic Affairs and Energy Oliver Wittke, Montsame news agency reported. The parties discussed on intensifying operation of the German Mongolian Institute for Resources and Technology and upgrading it to the Asian center of German education. Moreover, the parties highlighted joint works being implemented on the Sainshand wind farm (50 MW) project and its investment, Yeroo river hydro power plant and Ulaanbaatar city air pollution reduction. “Mongolia is a country with rich mineral resources. As for our country, its development is based on human capabilities rather than natural resources. Therefore, we are fully capable of supporting Mongolia in human resource training and conducting researches. Demand for minerals in Germany is high, so we could cooperate to meet this demand. In addition, it will be more effective to establish a union to ensure full cooperation between the enterprises” said State Secretary at the Federal Ministry for Economic Affairs and Energy Oliver Wittke. The parties exchanged views on ways to finance joint projects, opportunities for increasing German investment in Mongolia, educational cooperation, investment opportunities and legal environment of Mongolia.